Munich, 2016, 14th June – SGET Standardization Group for Embedded Technologies e.V. announces the final version 2.0 of its SMARC specification. The final specification document was just released at the SGET homepage. It is now freely available for download on the SGET website according to the SGET terms of membership – both for SMARC developers as well as for users and carrier providers. 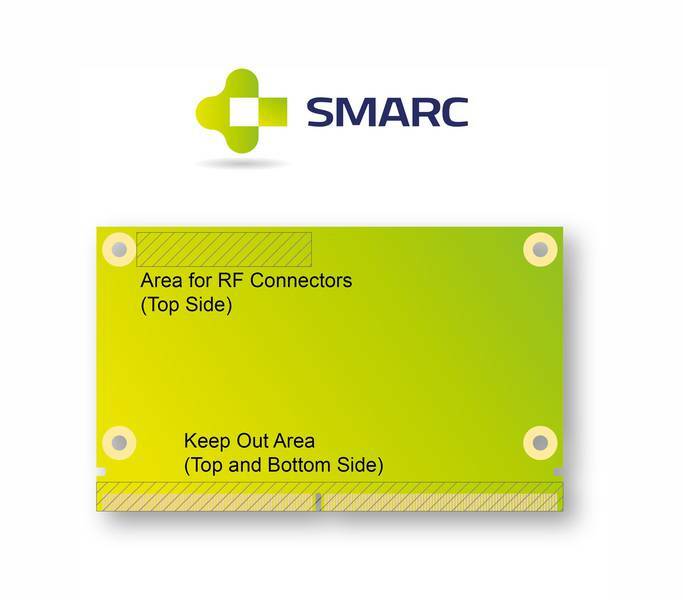 In SMARC specification 2.0 the following interfaces are added: 2nd channel LVDS, a 2nd Ethernet port, IEEE1588 Trigger Signals, a 4th PCI Express Lane, extra USB ports (now 6x USB 2.0 + 2x USB 3.0 superspeed signals), x86 power management signals, eSPI and DP++. “The summary is, that SMARC 2.0 is now perfectly suited for interfaces supplied by X86 as well as ARM processors and it offers more multimedia interfaces, too”, explains Martin Unverdorben. Up to three digital displays will be supported: As primary display 2x 24 bit LVDS or eDP (4 channels) or MIPI DSI (4 channels) can be used, the secondary display can either be HDMI or DP++, and the third display can be DP++. Some interfaces which were rarely used or seen as outdated soon were removed from the specification: Parallel Camera Interface, Parallel Display Interface, PCI Express Presence and Clock Request signals, Alternate Function Block, SPDIF, one I2S (out of 3) and eMMC. First products compliant to the SMARC specification 2.0 are expected to be made soon available by member companies of SGET e.V.